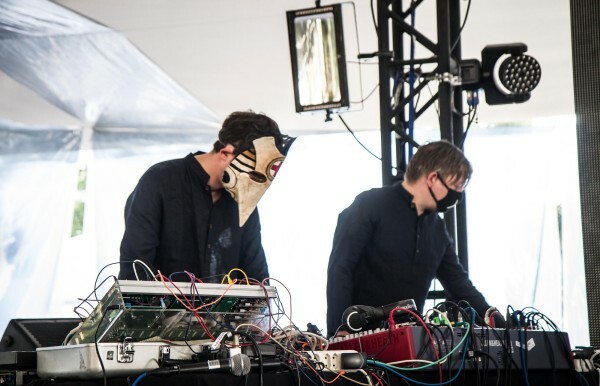 A film performance with an experimental live soundtrack: for two weeks, the brothers Teichmann and Can “Khan” Oral hosted a sound camp in the Mexican town of Malinalco. Together with electro, noise, and rock musicians from Mexico, Panama, Costa Rica, and Guatemala, they formed the band Mondmaschine. In a synergetic work process with the video art duo +viral inc. they created Occeppa Sun: this surrealistic-poetic musical film was inspired by the oeuvre of Chilean cult director Alejandro Jodorowsky and by the atmosphere of Malinalco, a place of magic and mysticism steeped in legends of Christ manifestations, Aztec jaguar fighters, and the shape-shifting enchantress Malinalxóchil. At Wassermusik, Mondmaschine will perform the film and soundtrack live, supported by Gudrun Gut, icon of the Berlin underground and the Krautrock pioneer Hans-Joachim Irmler. 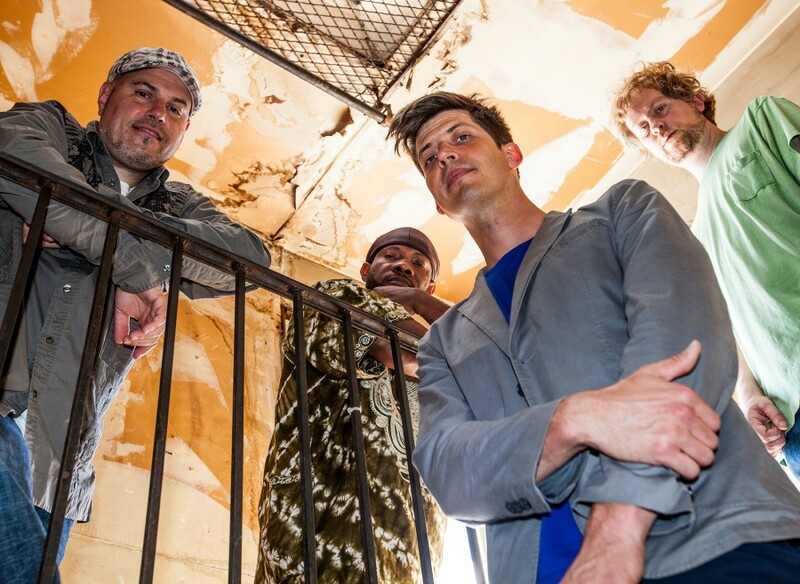 The Teichmanns have been a fixture in the Berlin club scene since the 1990s and are, in recent years, increasingly touring the world with intercultural collaborations. Mondmaschine are Julian Bonequi from Mexico City (percussion), Ronald Bustamente from San José, Costa Rica (guitar, electronics), Clau Fernández from Monterrey, Mexiko (guitar, bass), Mabe Frattifrom Guatemala City (cello, vocals), Ingmar Herrera from Panama City (saxophone, keyboards, electronics), Can „Khan“ Oral from Berlin (ukulele, vocoder), Santi Rodríguez from Mexico City (sound engineer & live dubbing), Gebrüder Teichmann from Berlin (live electronics), Ulrich Teichmann from Berlin (flute) and +viral inc. from Mexico City (live video). Avant jazz and Haitian rhythms: Ches Smith is a highly regarded New York jazz drummer, but also active in various avant-garde and noise rock formations. For years, he has been exploring Haiti’s musical traditions. For his current ensemble We All Break, he composed jazz pieces for drums and piano based on Haitian rhythmic structures. Together with Daniel Brevil and Markus Schwartz, masters of the rada and the petwo drums, and the jazz pianist Matt Mitchell, We All Break creates its very own complexly nuanced and playful musical language.